Waqt Dialogues- Get best dialogues from Waqt The Race movie. This is a family drama film directed by Vipul Shah released on 22 April 2005. Amitabh Bachchan, Priyanka Chopra, Akshay Kumar and Shefali Shah played the lead role. Waqt is full family drama and comedy movie. It has its comic essential feature in the form of the bumbling servant Laxman, who misunderstands the most simple requests made of him in a style mnemonic of certain Shakespearian comic relief characters. 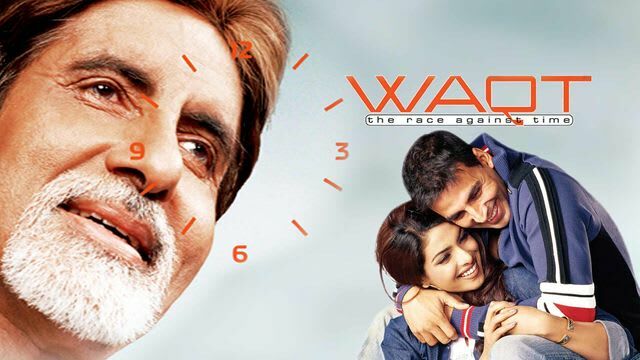 Waqt movie collected 23 crores and was considered as one of Priyanka Chopra's biggest box office hits. Now Here We have collected some best and famous dialogues from Waqt movie some dialogues are really marvelous.